Norman H.Y. Cheng is Managing Director of the firm. Mr. Cheng concentrates his practice in the areas of real estate, hotels and resorts, business structure and operations and commercial transactions. He has also participated in a variety of legal matters, including real estate transactions, construction agreements, collections, national retail leasing, complex corporate litigation, and real estate development. Mr. Cheng holds Martindale-Hubbell®'s highest possible professional rating (AV®) given to him by other professionals based on their knowledge of his work, reputation and integrity. He has also been recognized by Chambers USA Leading Lawyers for Business in the practice area of Real Estate Law. Mr. Cheng has also been selected for inclusion to the Hawaii Super Lawyers list each year since 2016, and the 2015 Hawaii Super Lawyers list, as a "Rising Star" in the area of real estate law. Mr. Cheng has been selected by his peers for inclusion in The Best Lawyers in the America© in Honolulu 2018 list in the practice area of Real Estate Law. 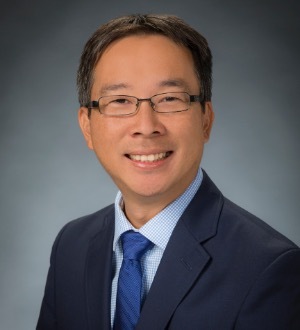 At the William S. Richardson School of Law, Mr. Cheng finished among the top students in his class and was published twice in the University of Hawaii Law Review. His articles, Is Agricultural Land in Hawaii “Ripe” for a Takings Analysis, 24 U. Haw. L. Rev. 121 (2001) and If a Policeman Must Know the Constitution, Then Why Not a Planner: A Constitutional Challenge of the Hawaii Public Access Statute, 23 U. Haw. L. Rev. 409, (2000), focused on the numerous challenges associated with real estate development in Hawaii. Real Estate Development. Represented landowners developing hotels, golf courses and mixed use commercial developments, including negotiating leases and development conditions. Hotel Acquisitions and Sales. Participated in the due diligence, sale and acquisition of multiple hotel, resort and golf course properties on Oahu, Maui and Kauai. Corporate Transactions. Participated in restructuring the relationship between two partners in a general partnership, formation of various corporate entities, and structuring the investment scheme for a large real estate development. Construction Agreements. Represented both contractors and owners in the negotiation of construction agreements for a commercial care home facility, large residential development and hotel renovation projects. Liquor License Applications. Represented clients in obtaining new liquor licenses, transfers of liquor licenses and other matters before the liquor commission. Real Estate Litigation. Assisted in the representation of a landlord in a multi-million dollar commercial lease dispute.Leasing. Assisted landlords and tenants in the negotiation of numerous commercial leases for space in shopping centers, industrial complexes and office buildings. Small Business Sales and Acquisitions. Represented clients in acquiring small businesses such as a physical therapy office and an international marketing company.